The government's scrappage scheme officially comes to an end today after helping to sell at least 330,000 cars since it was introduced last year. The latest figures suggest that scrappage contributed to around 20 per cent of all new car registrations, and the government believes that as many as 4000 jobs may have been protected by the scheme's success in attracting customers back to the dealerships. 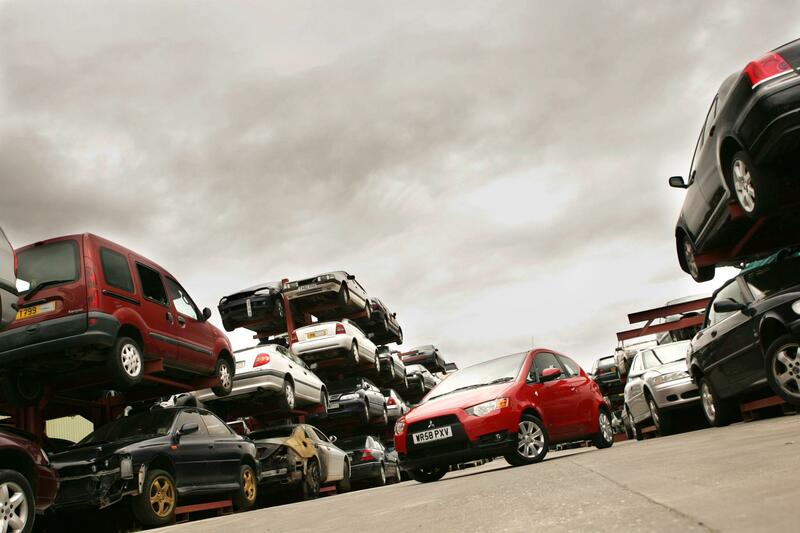 Scrappage offered UK buyers a £2000 discount on a new car if they traded in one over ten years old. It was established to prop up the car industry after sales plummeted at the tail end of 2008, and co-funded by the manufacturers themselves. Speaking about the closure of the scheme, the Business Secretary Lord Mandelson said: "The scheme was always time limited and today as it closes I am pleased to see scrappage has delivered the results we aimed for – not just for manufacturers, but for the whole industry and its supply chain. "The figures show that this scheme gave vital support, boosting demand when the industry needed it most, helping to position the auto sector to meet the challenges of building a strong low carbon future." The short term success of the scheme is hardly in question. It was implemented to sell cars, and it certainly achieved that. Last month, UK car sales were up 26 per cent compared to last year, resulting in eight consecutive months of growth. It also helped introduce manufacturers to a customer base who had exclusively bought second hand cars in the past. Just over half of all buyers who took advantage of scrappage had never bought a new car before, despite the majority of them being over 60. Inevitably, there were winners and losers amongst the car companies. Premium manufacturer's gained little from participating in the scheme, while those concentrating on value for money products did almost unbelievably well. Hyundai in particular flourished under scrappage. The Korean car maker's reputation had been on the rise before the scheme's introduction, but the £2000 discount meant bargain hungry buyers drove i10s and i20s off the forecourt in their thousands. The key for Hyundai, and all the other manufacturers who benefitted from scrappage, will be maintaining the sales figures now the scheme has gone. This will not be easy, and there are those in the industry who fear a big drop in sales now that the government sponsored discounts have dried up. Some brands have already attempted to counteract the effect by launching 'swappage' schemes which function in much the same was as scrappage did, but the success of such initiatives is not guaranteed, partly because the pool of potential buyers may have been depleted by the sheer number who decided to buy before today's closing date. Any 'hangover' from the scrappage scheme will also be exacerbated by the new first year rate of vehicle excise duty – or showroom tax – which comes into force tomorrow. This one-off rate will apply to all new cars for the first year of registration, and is based on the vehicle's CO2 emissions. Cars emitting less than 130g/km will be exempt from the charge, but for those over, prices will start at £110 and range up to £950 for vehicles producing more than 255g/km CO2. According to the motor industry body, SMMT, the expected dip in sales will be softened by a recent increase in fleet and business demand, but they are still predicting a decline of almost 10 per cent in 2010. There will be one group of people rejoicing at today's closing date, though. With scrappage gone, the demand for affordable used cars is expected to jump significantly; 2010 could prove to be a very good year for second hand car dealers.